조선시대의 궁궐로서 경운궁으로 불리다가, 고종황제가 1907년 왕위를 순종황제에게 물려준 뒤에 이곳에서 계속 머물게 되면서 고종황제의 장수를 빈다는 뜻의 덕수궁으로 고쳐 부르게 되었다. 덕수궁 자리에는 조선 9대 임금인 성종의 형 월산대군의 집이 있었다. 임진왜란이 끝나고 한양으로 돌아온 선조는 궁궐이 모두 불에 타고 없어서 임시로 월산대군의 집을 거처로 정하고 선조 26년(1593)부터 궁으로 사용하기 시작하였다. 그리고 근처의 계림군과 심의겸의 집 또한 궁으로 포함하였다. 선조의 뒤를 이은 광해군은 즉위 3년(1611)에 이곳을 경운궁으로 고쳐 부르고 1615년 창경궁으로 옮길 때까지 왕궁으로 사용하였다. 그후 선조의 왕비인 인목대비가 경운궁으로 쫓겨나와 있게 되었는데 그 후로 광해군은 이 곳을 서궁으로 낮추어 부르게 하였다. 광해군이 인조반정으로 1623년에 물러나면서 인조는 즉조당과 석어당만을 남기고 나머지 건물들을 옛 주인에게 돌려주거나 없애버렸다. 그 뒤로 고종황제가 러시아공관에서 옮겨오면서 다시 왕궁으로 사용되었는데, 그 때부터 이 궁은 비로소 궁궐다운 건물들을 갖추게 되었다. 1904년의 큰 불로 대부분의 건물들이 불에 타 없어지자 서양식 건물인 석조전들이 지어지면서, 원래 궁궐 공간의 조화를 잃어버리게 되었다. 그 중 가장 큰 변화는 정문이 바뀐 것이다. 덕수궁의 정문은 남쪽에 있던 인화문이었는데, 다시 지으면서 동쪽에 있던 대안문을 수리하고 이름도 대한문으로 고쳐 정문으로 삼았다. 비록 조선 후기에 궁궐로 갖추어진 곳이지만, 구한말의 역사적 현장이었으며 전통목조건축과 서양식의 건축이 함께 남아있는 곳으로 조선왕조의 궁궐 가운데 특이한 위치를 차지하고 있다. 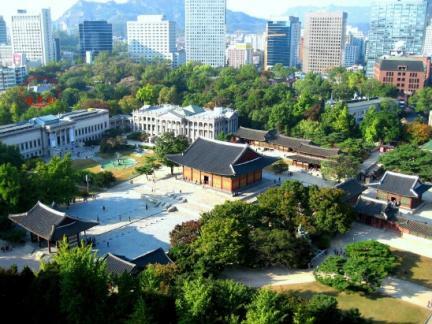 Built in the Joseon Dynasty, Deoksugung Palace was once called Gyeongungung Palace. Its name Deoksugung originated with praying for the long life of Emperor Gojong when he stayed here after he handed the throne over to his son, Emperor Sunjong, in 1907. 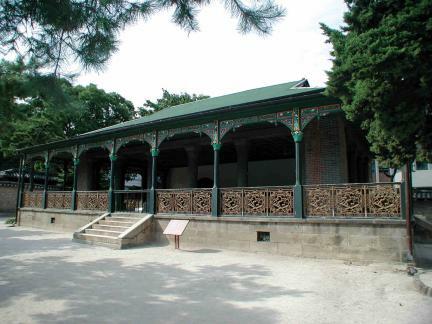 In this site, there used to be a house for Prince Wolsan, brother of King Seongjong (1457-1494). 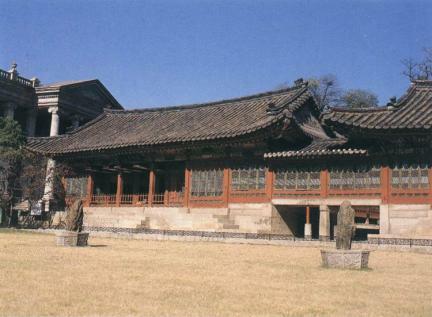 After the Japanese Invasion of Korea in 1592, King Seonjo came back to Hanyang and made the house a temporary residence since all palaces were burnt down. 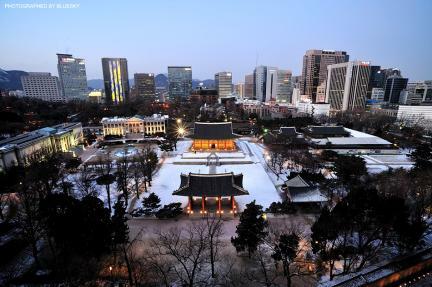 It had served as a palace since the 26th year of the reign of King Seonjo (1593). 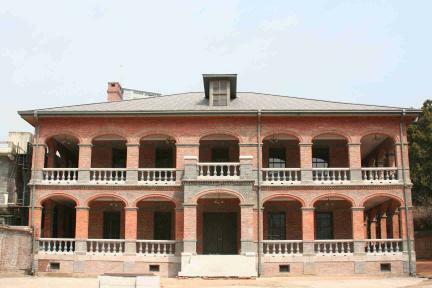 The houses of Prince Gyerim and Sim Ui-gyeom in the vicinity were also included in this palace. Succeeding his father, King Gwanghaegun named it Gyeongungung in the 3rd year of his reign (1611), using it as the palace until moving into Changgyeonggung in 1615. Later, Queen Inmok, wife of King Seonjo, was expelled and detained here, and King Gwanghaegun renamed it Seogung. 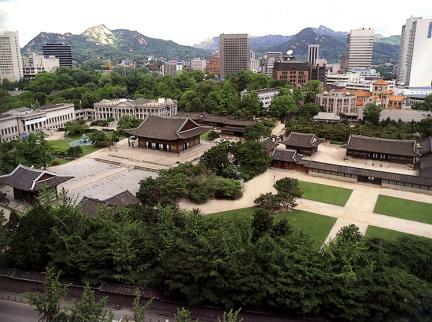 After the enthronement in 1623, King Injo gave the buildings in Deoksugung Palace back to the original owners except Jeukjodang and Seogeodang halls. Since Emperor Gojong moved in here after hiding at the Russian Legation, it was reused as a palace. The western-style building was built after it was burnt down in 1904. In particular, it lost the harmony with the original palace buildings since huge stone buildings were built. What changed the most was the location of the main gate. 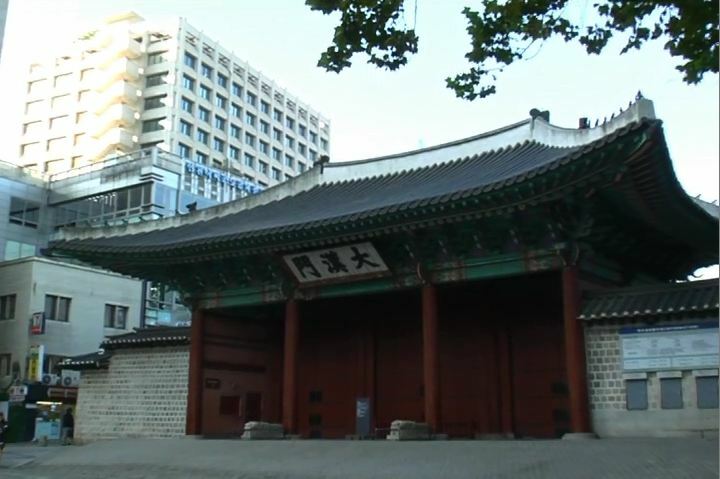 It was Inhwamun Gate on the South but changed into Daehanmun Gate, originally Daeanmun, on the east. 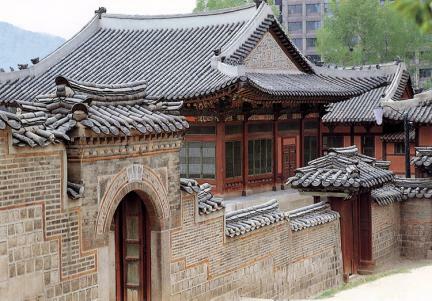 Although it served as the palace in the late Joseon Dynasty, Deoksugung Palace was considered a unique palace of the Joseon Dynasty, with its historical presence at the end of the Joseon Dynasty; it preserved both traditional stone-made architectures and western-style ones.